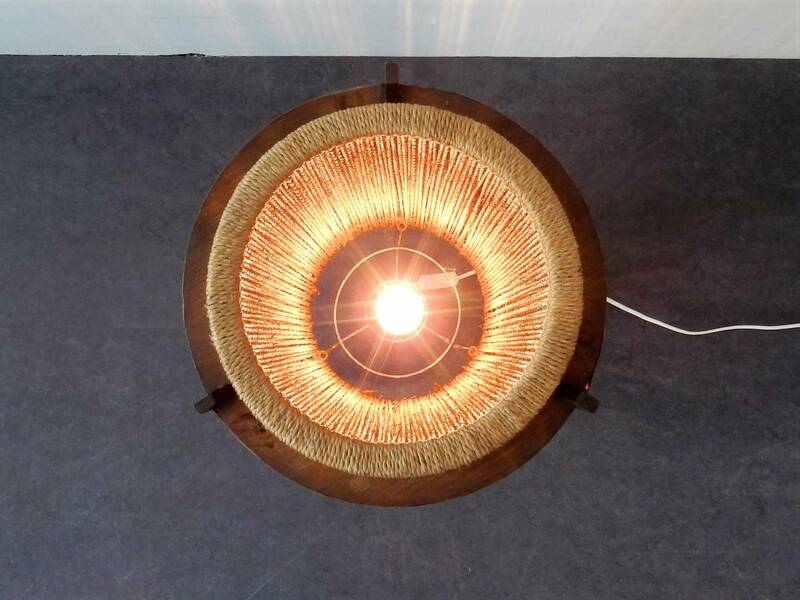 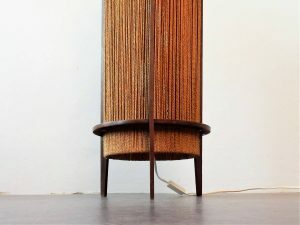 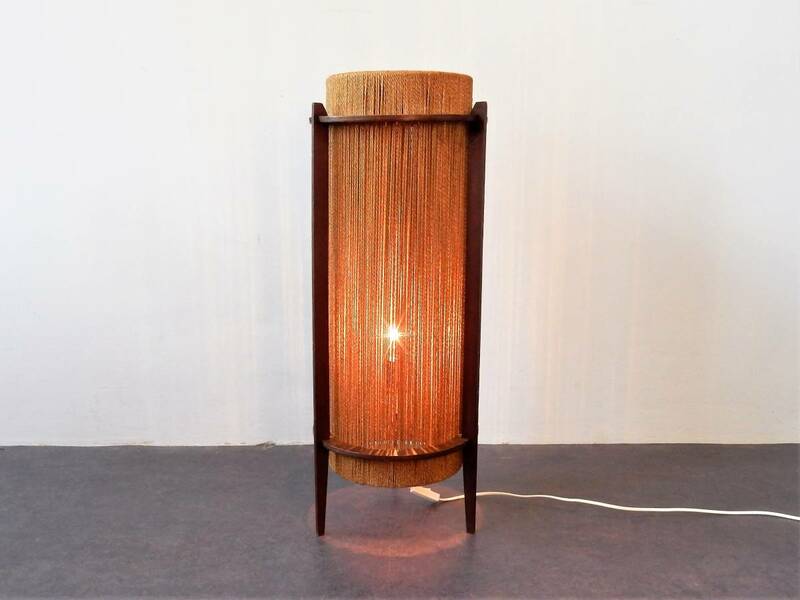 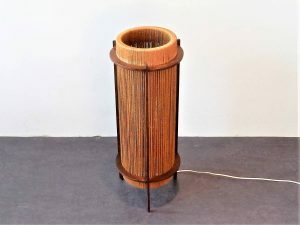 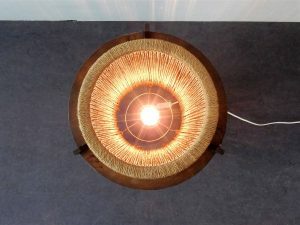 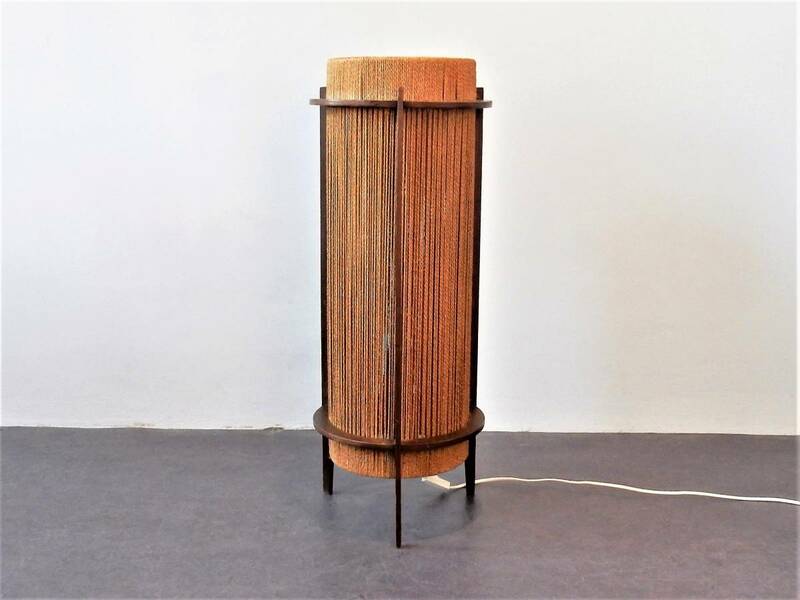 This rare teak and hemp string floor lamp is made by Ib Fabiansen for Fog & Mørup. 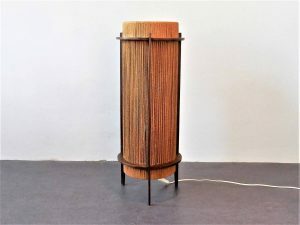 It was made in Denmark in the 1950's. 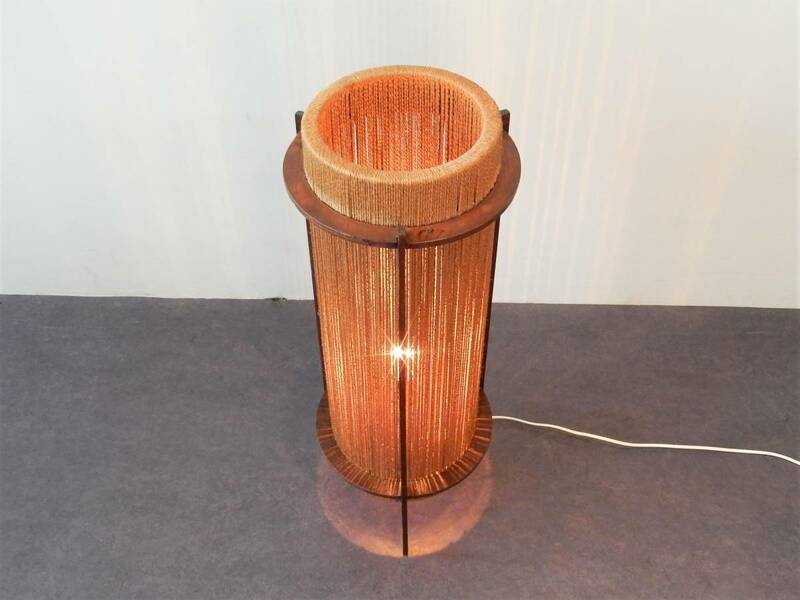 This lamp is in a good condition and gives a nice warm light. The (ply)wooden construction has had some restoration done and does show some signs of age and use.